After an absence of more than 3 decades, the inventor of the blue jean is back in the public markets. Shares of Levi Strauss (LEVI) began trading Thursday morning on the New York Stock Exchange under the ticker LEVI. Shares opened at $22.22 per share, or more than 30% above the company’s IPO price of $17. This set the company’s market capitalization at more than $8 billion. The stock climbed as much as 36.18% to $23.15 per share during intraday trading. Shares closed higher by 31.82% to $22.41 each. The company had priced its IPO a day earlier, with the $17 price tag coming in above the $14 to $16 range Levi Strauss suggested earlier this month. The San Francisco, California-based company offered about 36.7 million shares, bringing the total amount raised to $623.3 million. That values Levi Strauss around $6.6 billion, including shares outstanding after the IPO. Levi Strauss earlier announced it filed for an IPO in mid-February, with Goldman Sachs (GS) and JPMorgan Securities (JPM) leading the offering. This marks the second time that Levi Strauss shares will trade on a public exchange. The company first went public in 1971, but in 1985 was taken private in a $1.6 billion leveraged buyout by the Haas family – descendants of founder Levi Strauss. Levi Strauss returns to the public markets with a dual-class stock structure: The Haas family will take a separate class of stock with 10 votes per share. Family members will retain control of the company, controlling in aggregate about three-quarters of the company’s shares. 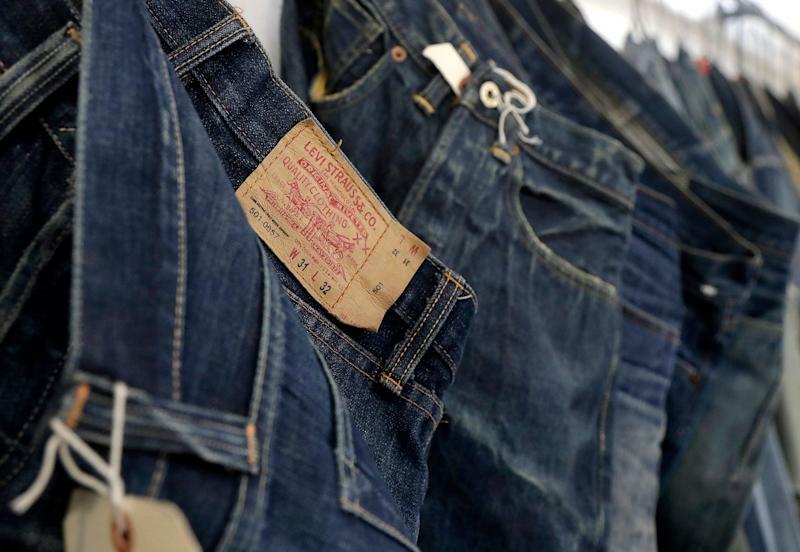 The denim-maker was originally founded in 1853 when Bavarian-born Levi Strauss opened a store in San Francisco to sell pants to miners during the California Gold Rush. Levi Strauss and partner Jacob Davis obtained a patent for the blue jean in 1873. Strauss had no children, but the company has been run by descendants of the four nephews and other family members of the founders for generations. Despite an increasingly competitive and evolving retail backdrop, Levi Strauss has held up strongly, based on its most recently reported financials. The company brought in $5.6 billion in revenue in 2018, up 14% from the year prior. Growth in sales of women’s apparel— up 28% —and tops, which were up 37%, helped push revenue to its best rate of growth in more than 25 years. Net income during the company’s fiscal year ending in November grew slightly to $285.2 million, up from $284.5 million in 2017. Fiscal year 2018 gross margin of 53.8% expanded 150 basis points from the year prior, “primarily due to increased direct-to-consumer sales,” the company said in a statement. “It’s clear our strategies to diversify our product portfolio, expand our direct-to-consumer business, and deepen our connection with consumers worldwide have worked, resulting in both higher annual revenues and gross margins,” Chip Bergh, president and CEO of Levi Strauss, said in a February statement. Levi Strauss also boasts diverse geographical revenue streams, with about 16% of 2018 revenue deriving from Asia. Net revenues from Europe, comprising nearly 30% of total 2019 sales, grew 25% over the year-prior.